HomeBlogHow to Plan Your Corporate Event Onboard A Yacht? Corporates are known to experiment with their strategies to get better results out of the business. They are constantly in search of ways to encourage their employees or impress their clients. And that’s where chartered yachts and corporate cruises come in. Large corporates believe that the best way to get the top performances from their employees is to offer them an incentive. A day of the cruise or even an evening party on a yacht will surely raise their morale, and improve their performance. Corporate events like Christmas party or project success parties are often held on luxury yachts with this motive in mind. It is a wonderful way to thank the employees for all their hard work while motivating them to continue with the good work. A yacht trip is also a great place to do team building activities or business presentations. Modern yachts come with all the necessary amenities for holding a meeting or a sales presentation. Often, corporate companies also bring in their clients on a yacht cruise while talking business. Most people feel like living a king’s life while sailing along one of the world’s most famous skyline. Impressing clients is one of their top priorities and what better way than rent a luxury yacht to take them along Dubai’s coastline and waterways. Most yachts have a guest capacity of 50 or less. So you must always be considerate of the number of people invited for the yacht trip. This is to prevent any possible disasters caused due to overloading. Moreover, having more people on board can also cause you a lot of money as you will be paying for every person on board. The second important consideration you must look into is the budget. Luxury yachts are sure to be a bit on the costly side, as they are equipped with a professional crew and has various facilities necessary to meet all your needs. And you might have to opt for additional services like catering, photography, and decor, which might cost you extra. So have a clear understanding of your budget and the services you might have to avail. If your corporate yacht trip is for a client who wishes to have a full yacht sailing experience, you can ask for extra activities to be held on the yacht, like fishing or any water sports. This can be discussed at the time of booking and can be easily arranged on the date of the trip. For your corporate event on deck, you can ask for facilitating a fine catering service with more than one cuisine to be on the menu. The catering must provide delicious food, a staff capable of serving the guests tirelessly – may it be a fresh drink or a clean plate- as this can reflect on your company’s capabilities. 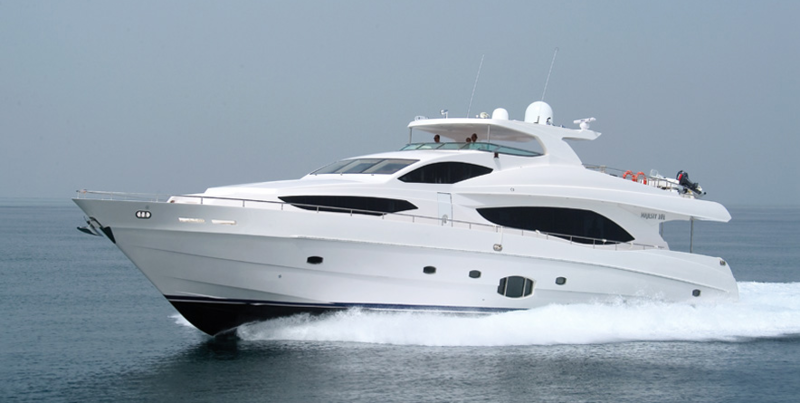 A premier yacht charter company in Dubai can help you with all your corporate cruise needs. This includes a professional crew, inbuilt yacht facilities, catering and photography services.